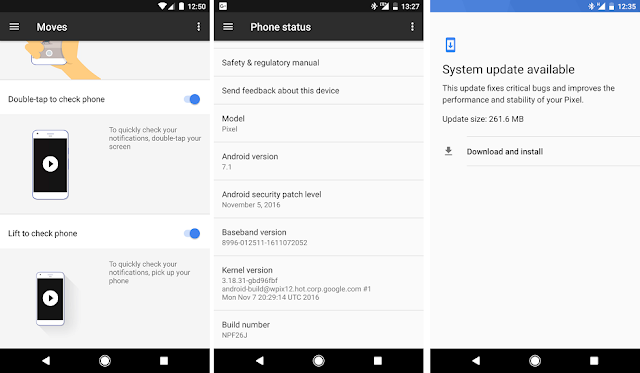 It seems that All Google Pixel users from Canada is getting a new Software update, which includes security update, bug fixes and two new "Moves". The two new "Moves" includes, Double-tap to check phone and Lift to check phone (Just like Moto Display). The update costs 261MB and has a build no. NPF26J. This seems to be an experimental update and will be rolled out globally very soon.